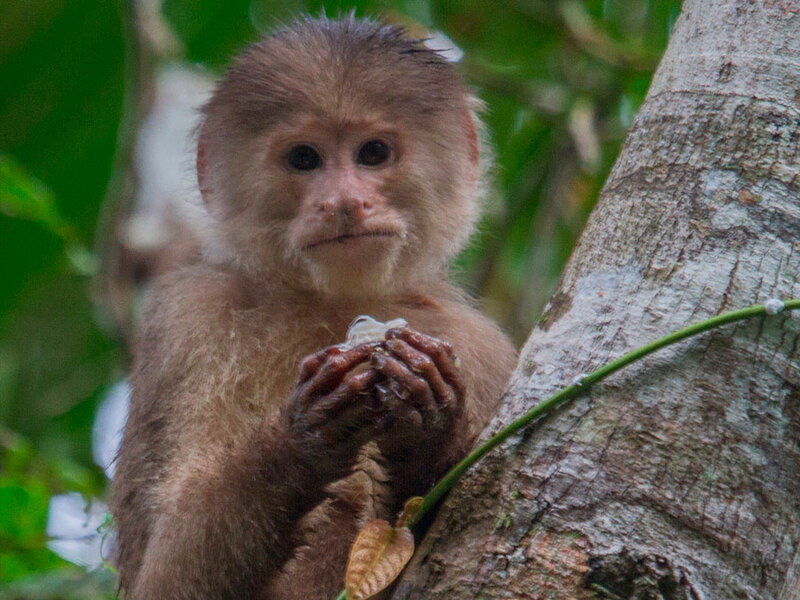 The Napo Wildlife Center • Use the form below to contact us directly. 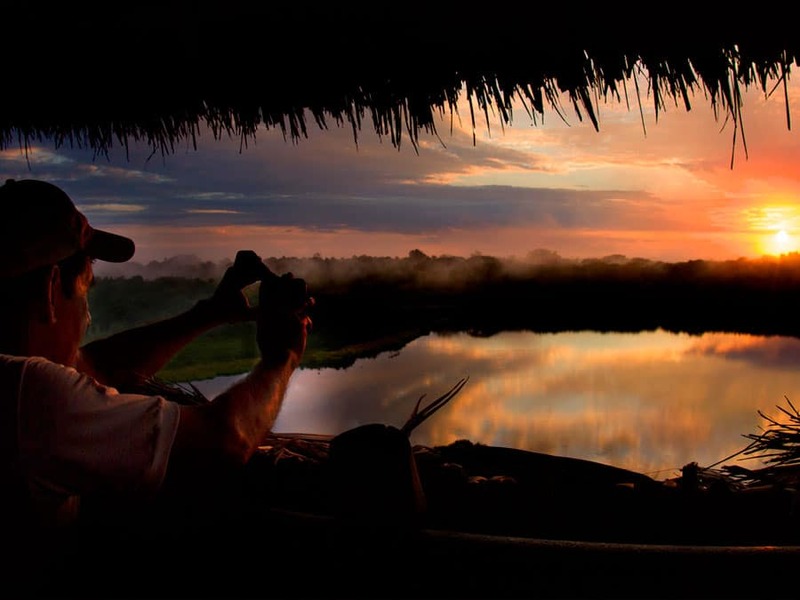 Fill in the fields to check availability & reserve direct with The Napo Wildlife Center. 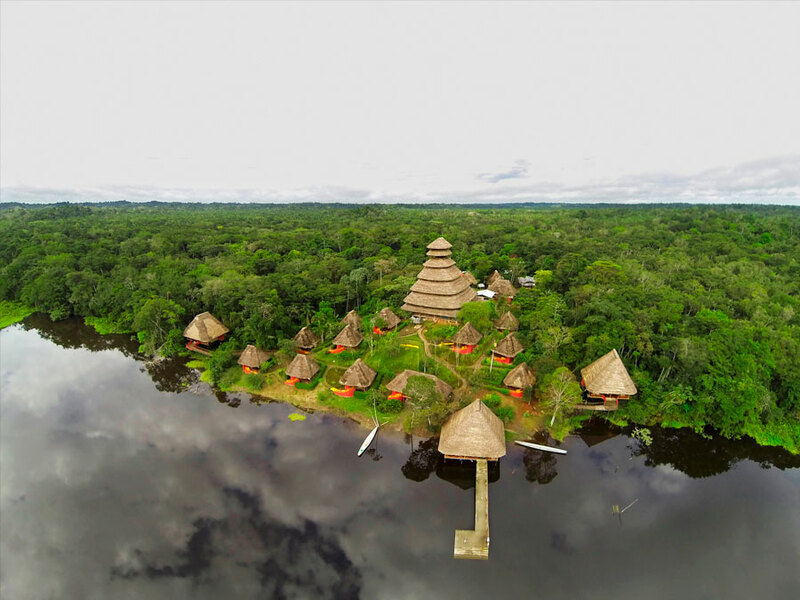 Napo Wildlife Center is nestled in the rainforest at the heart of the world famous Yasuni National Park, a protected area thought to contain more animals and plants than anywhere else on Earth. 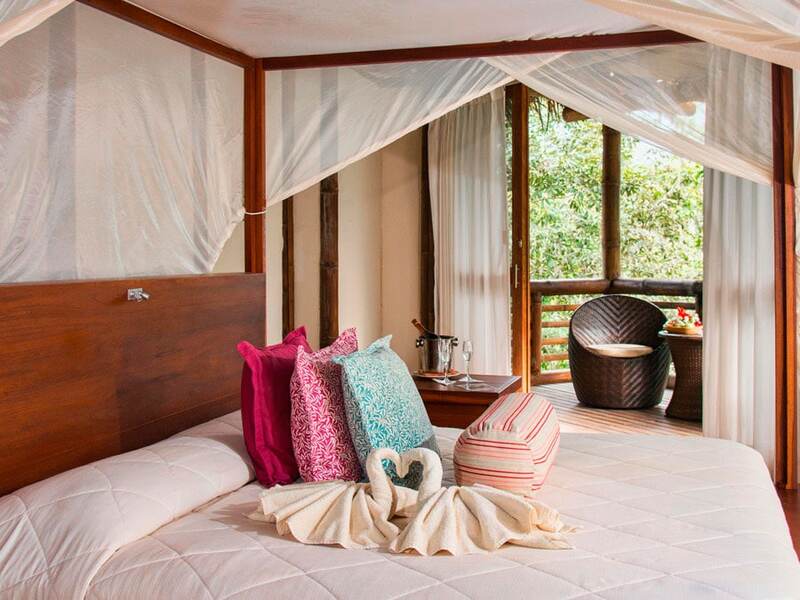 The lodge is located by the Napo River and offers one of the few luxury lodges in Ecuador’s Amazon Rainforest. 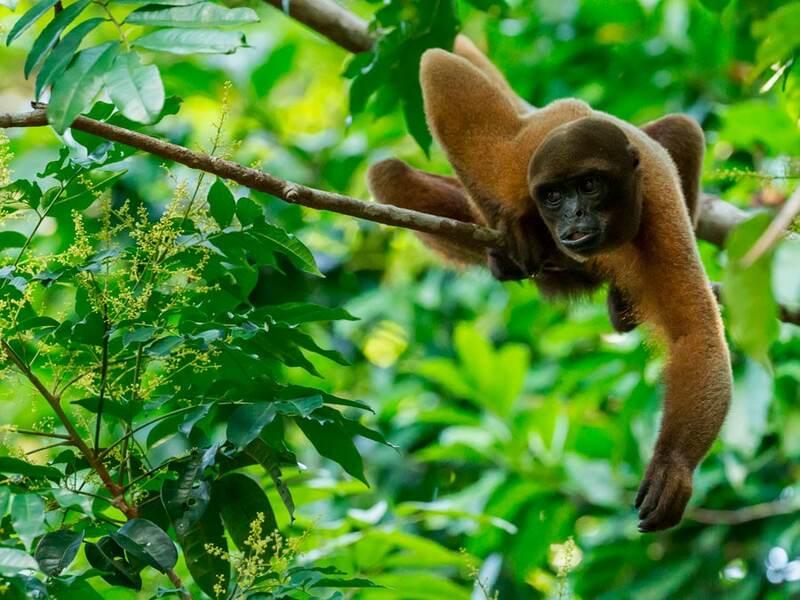 You will enjoy our canopy tower and guided tours to see parrot clay licks, several different monkeys, colorful birds and many more Amazonian animals. Coca (Puerto Francisco de Orellana) is a city in eastern Ecuador located near the merging of Coca River and the famous Napo River. 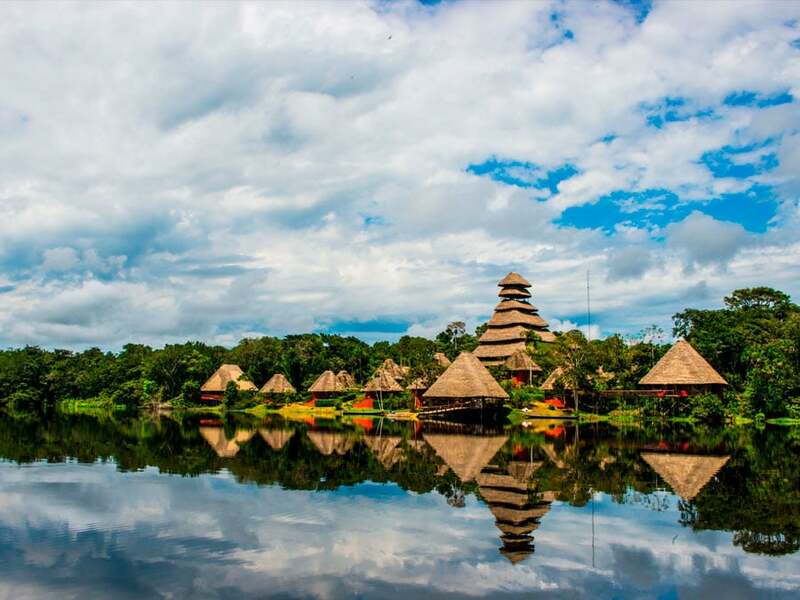 Officially named after the famous explorer, Francisco de Orellana, this is the gateway to Ecuador’s Amazon Rainforest and is visited by thousands of tourists each year. 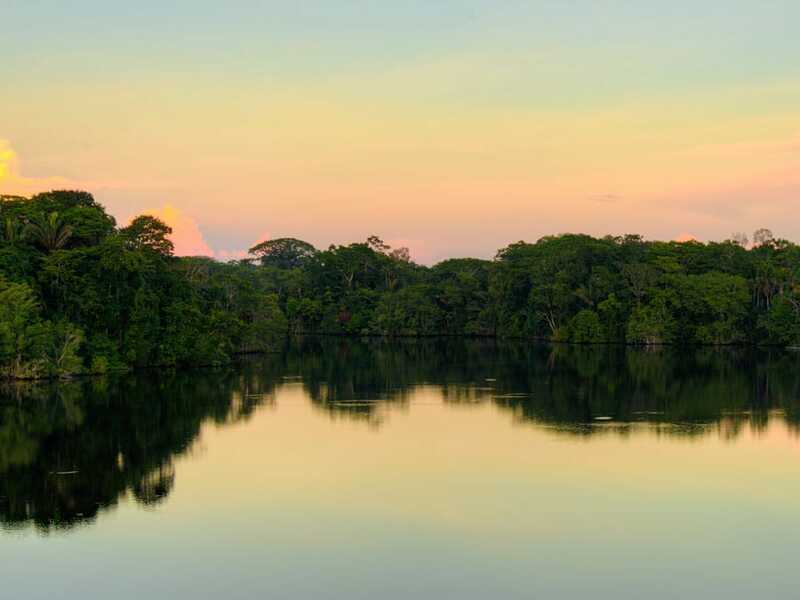 After arriving in Coca airport, we will travel for around two hours by boat into the Yasuni National Park. 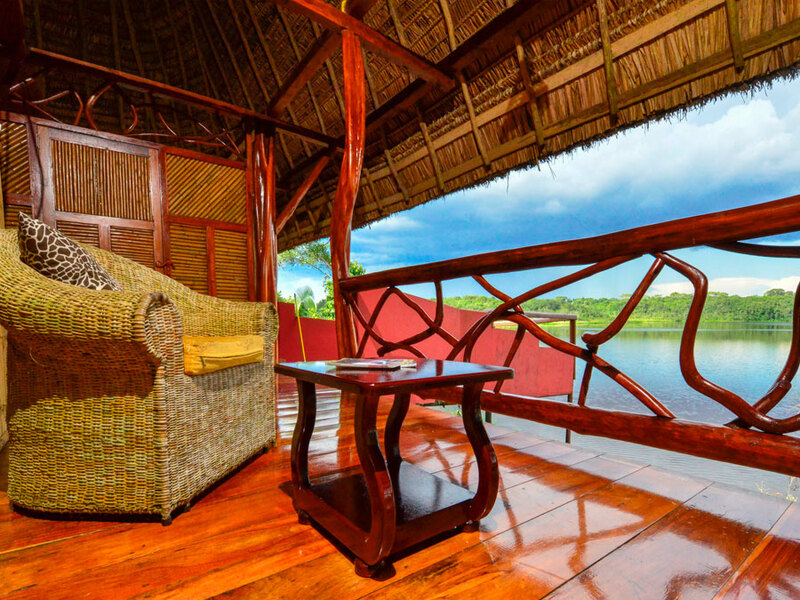 When at the park boundary, we will use paddle canoes to reduce any environmental impact and will be greeted by the red thatched roofs of Napo Wildlife Center. 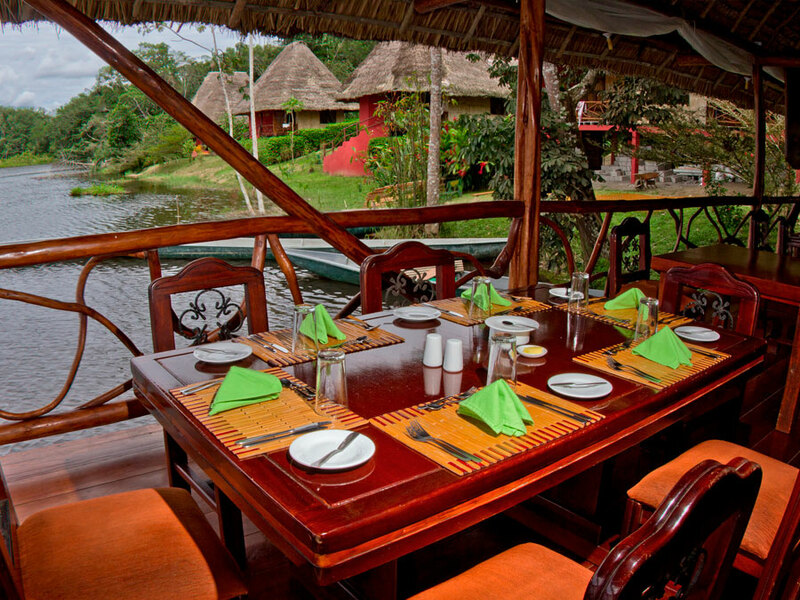 Napo Wildlife Center is composed of sixteen very comfortable cabins and a large main hall, which includes the dining room and relaxing area where both staff and tourists enjoy spending their free time. 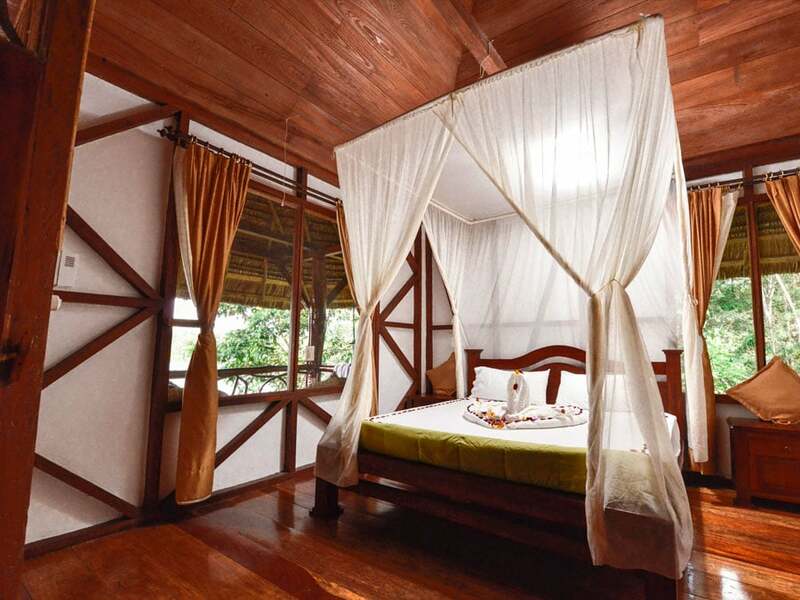 In addition to the relaxing areas, the hall features a library and our 20 foot observation tower that provides 306° views out over the rainforest. 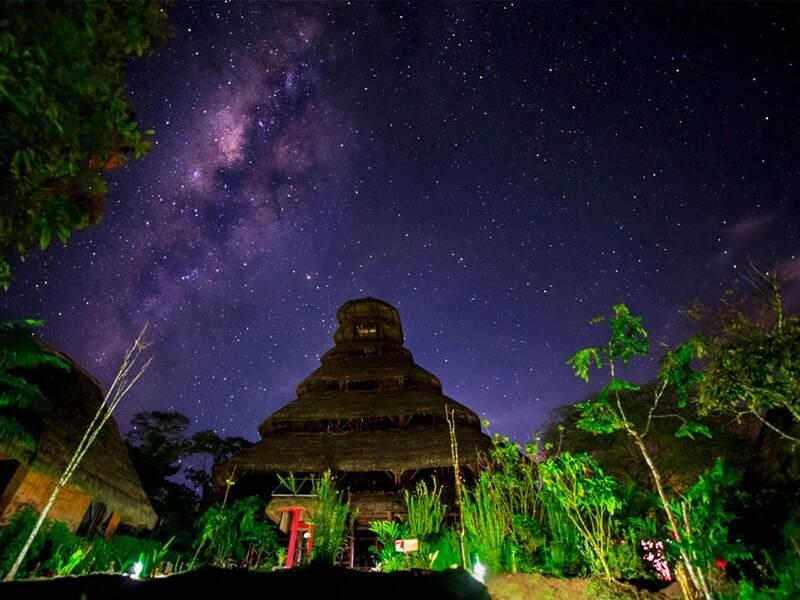 Close to this building is the start of a trail we use for night excursions where we can find different frogs and other night active animals. 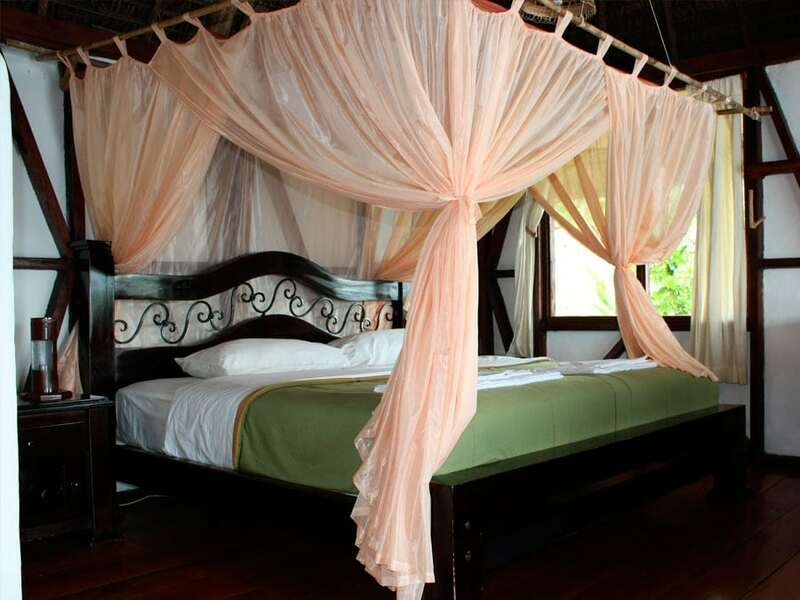 Your cabin includes a king sized bed, or twin beds, which are draped with a protective mosquito net to keep you comfortable in the jungle. You have a private bathroom with hot water, safety deposit box, and a private balcony for views over the lake and rainforest. The local community then provide an interpretive center where you will learn about the culture and the people in of the region by the locals themselves. We provide electricity using a hybrid system of solar panels and then silent diesel engines of a night, chosen for their comparably lower impact on the environment. With this system, we can provide electricity 24 hours each day so you can keep camera batteries charged and ready for your wildlife tours. The Internet service is available at the lodge at a very reasonable price. If you need to use this service it will be added to your bill. We also provide a laundry service at the lodge for a very reasonable rate and if you need some clothes washed, we provide a white bag inside your room and a laundry form to be filled out. 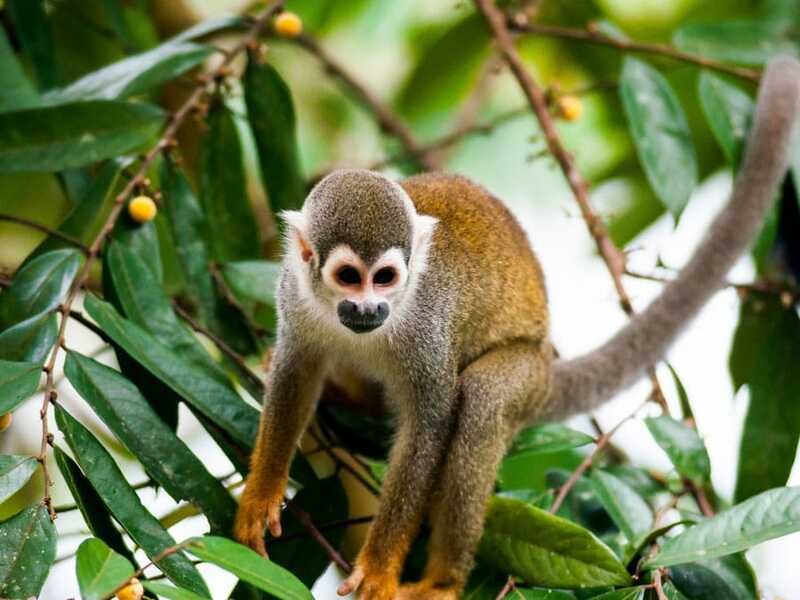 There are a variety of guided tours at Napo Wildlife Center. 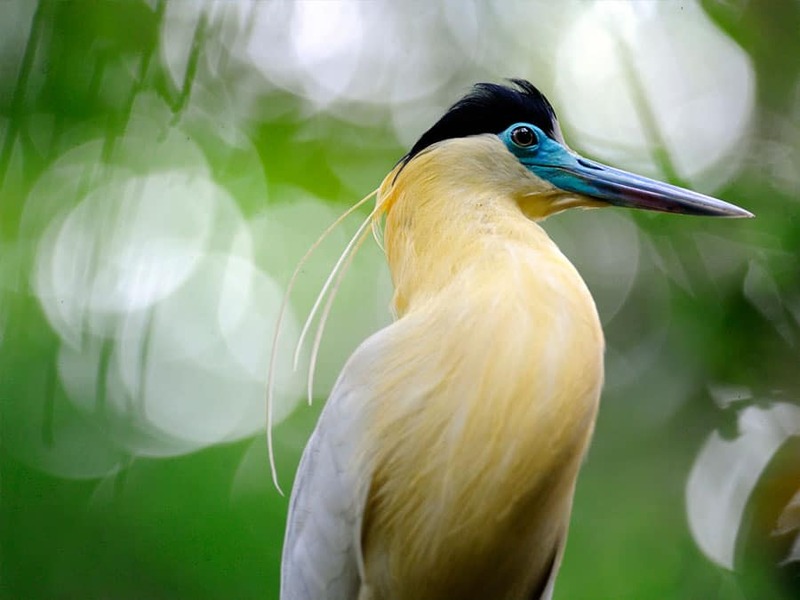 You can walk the different trail systems scouting for animals and plants of this diverse forest and also visit the clay licks to see colorful parrots feeding from medicinal clay. 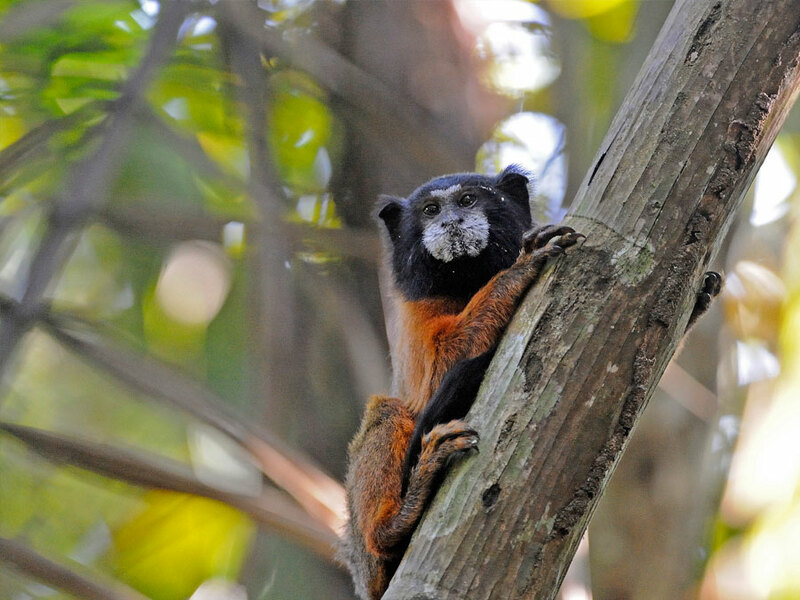 Visitors are divided in small groups and for each group you will have a jungle expert guide. 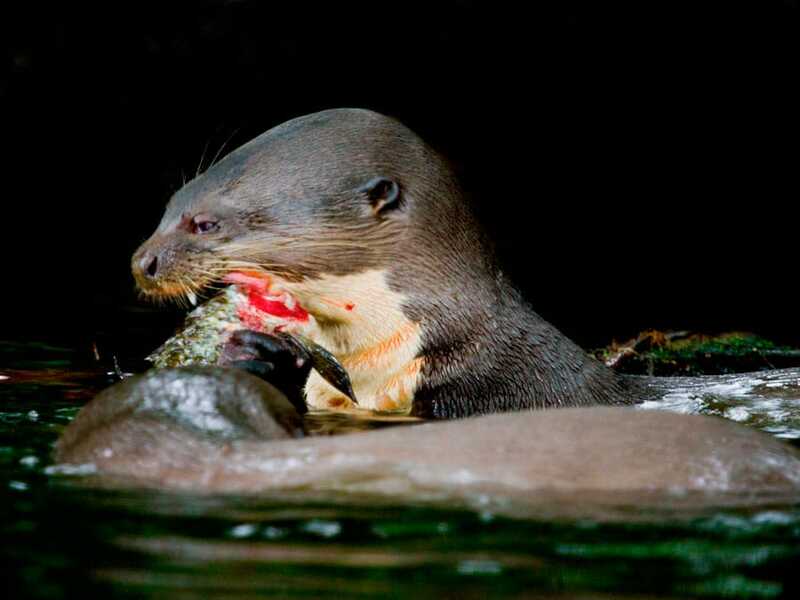 You will enjoy the observation towers, parrot clay licks, looking for the resident giant amazon otters, canoe riding, finding different Amazon monkeys and more. 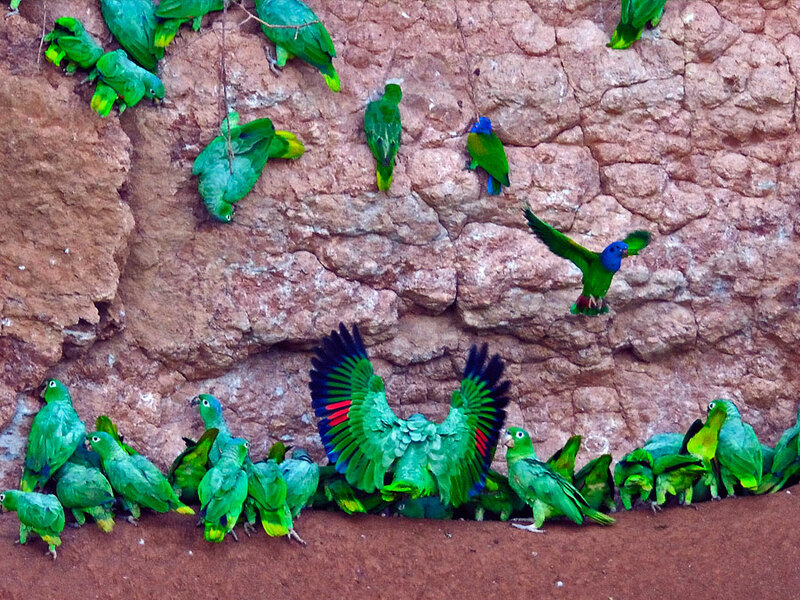 One of the lodge’s favorite attractions, the clay licks are where different parrots feed from the clay to detoxify food items they have eaten in the forest. 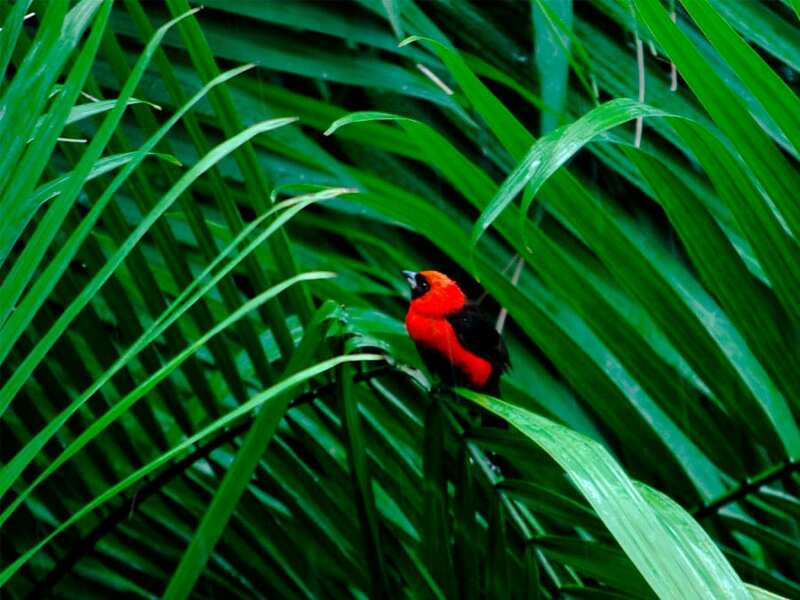 The licks are visited by different species, such as parrots, parakeets, macaws and other birds. Our canopy tower is another favorite feature. The tower provides 360° over the rainforest and is a fantastic place to visit with a pair of binoculars or powerful lensed camera to spot different birds and other animals. The canopy is 130-foot high and located in the main building. Do you want an additional day at NWC? Optional excursions are available for you! Hikes and canoe rides through different trails and creeks, birding tours, cultural activities such as visiting the handcraft workshop with the local community and much more. You just have to contact us. 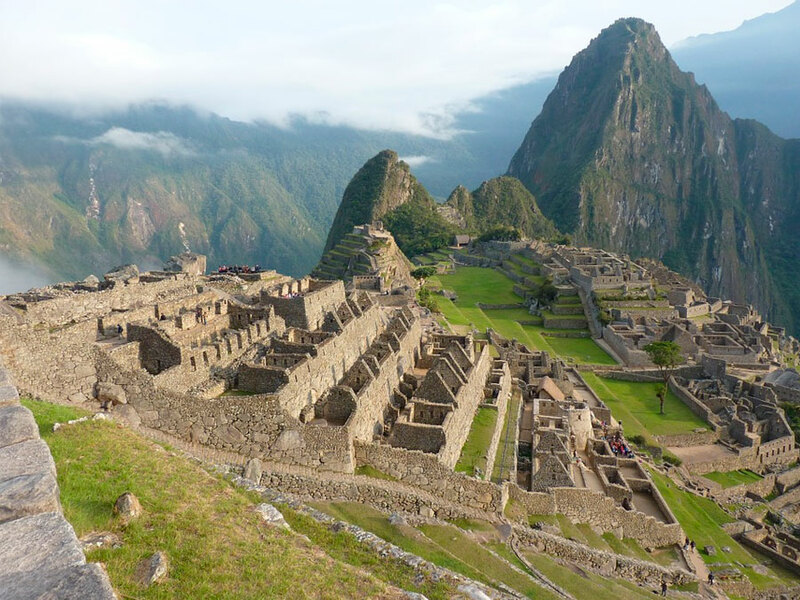 Accommodations, all meals, pure ware, river transportation to Coca city, all excursions including AñanguKichwaCommunity, and visits to the exclusive NWC´s parrot-macaw clay licks. It is also included the service of a native guide and naturalist bilingual guide. The entrance fee to the YasuniNational Park, rain poncho and rubber boots provided when needed for excursions. Drinks, gratuities, any other item not specified. Families with children is suggested contract a private guide. All prices are per person, valid through 2015 and are quoted in US dollars for adults. Children under 12 get 30% discount on hotel prices in same parts room. Children under 5 ages, hotel free in same parents room and 50% on airfare. Please note that air rates and national park fees are subject to change without previous notice. Departures available any day of the week, except Sunday. No additional canoe fees for river transportation at operations days. US$300 non-refundable deposit per person at the time of booking. Total payment, 30 days prior to the trip. Cancellation with in 60 to 31 days prior to the trip, 50% of full rate; within 30 upto 1 day prior departure 100% penalty of the full rate.